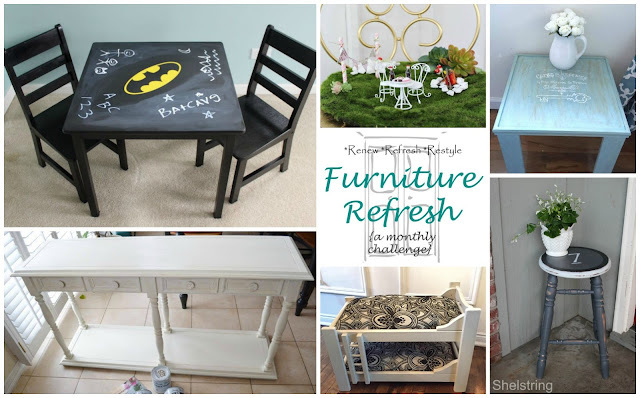 Welcome to Furniture Refresh! The first week of each month we will be sharing furniture flips with you in hopes that it will inspire you, as well as empty our my over stuffed garages! 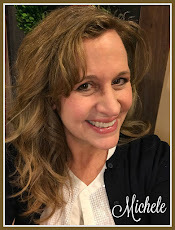 I'm so excited to introduce my amazing friends to you, so make sure you check them out at the bottom of this post, will you?! 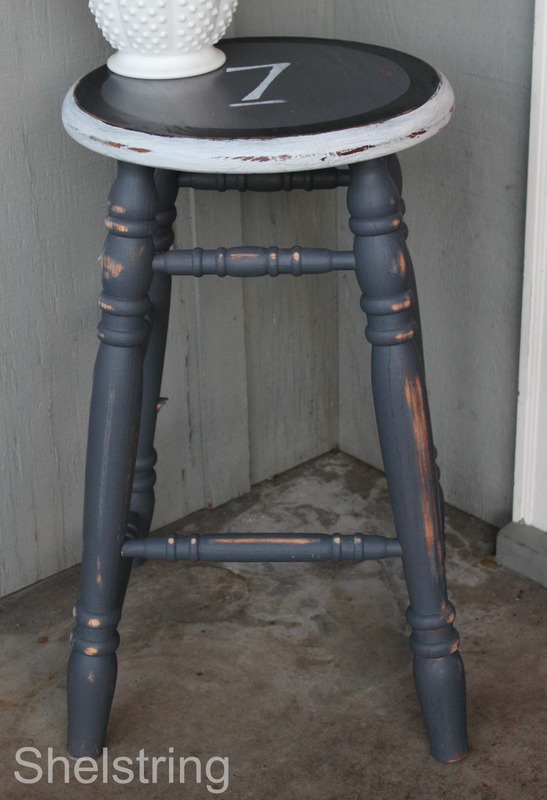 For the first project, I am sharing a little stool that's been kicking around our house for the last month just begging me to finish it. I was going to share it with the clock face challenge during my project challenge last week, but I just wasn't feeling it. 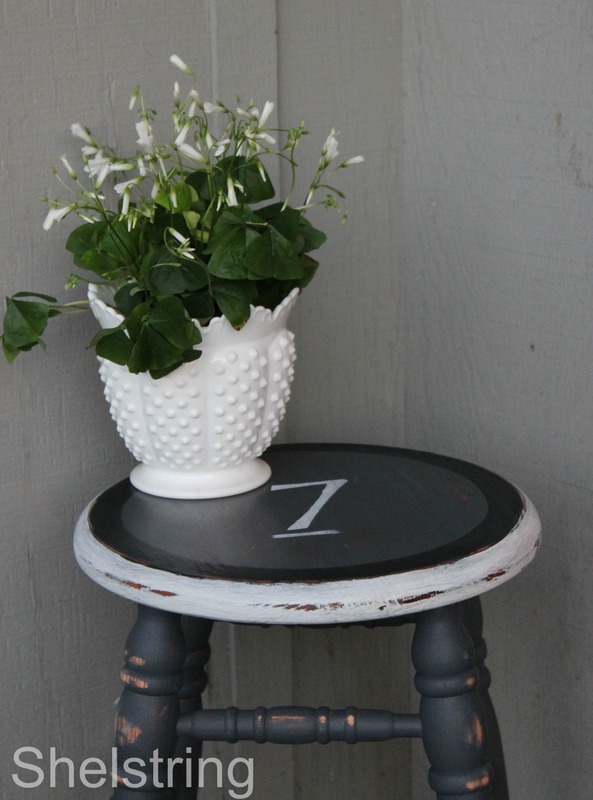 If you paint furniture as much as I do, then you know what I mean. Sometimes, you just want to paint something, but when you get started, it just doesn't seem to be working. I call this giving the piece the life it was intended for. Sometimes I'm wrong about what that life should be, initially. 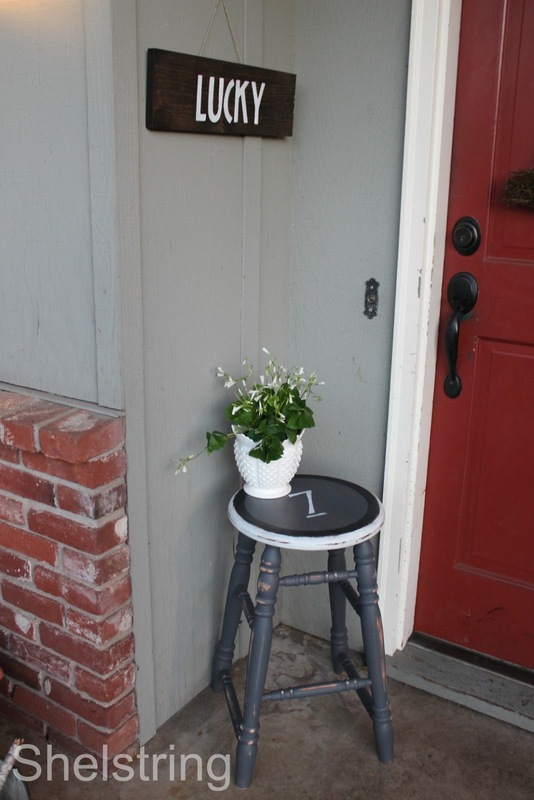 Such was the case with this little stool. 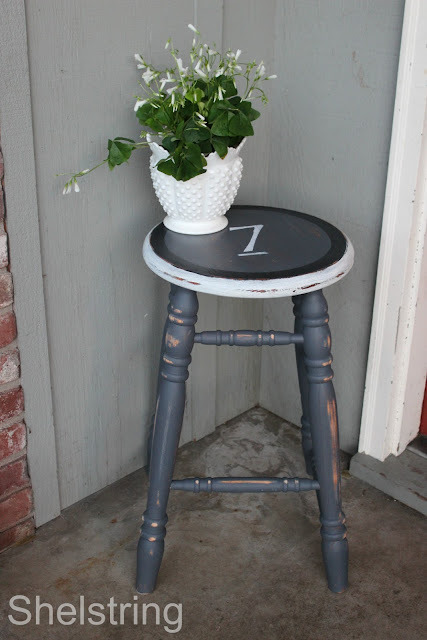 I'm super upset that I can't find the before picture of this little thing. Anyway, enough sobbing, here is the new life it has begun. 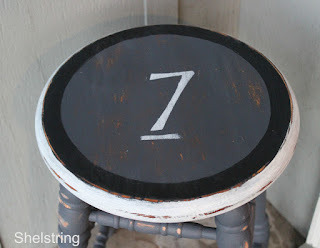 When I decided to make it into a numbered stool, I immediately thought of the number 7. Don't ask me why. It may have to do with the fact that I have seven children. Or that there are only seven family members living at home now (since the older two are grown and gone). Or it could be that St. Patrick's day is coming up, and the number 7 is considered lucky. 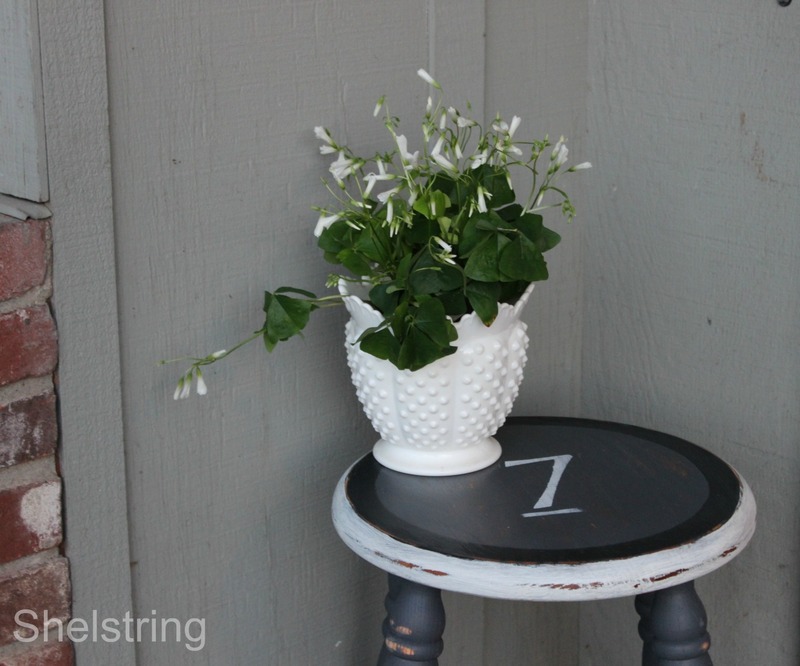 Whatever the reason, I added a little Shamrock plant to go with it. I love the flowers that go along with it. Now, meet my fellow creators and friends! 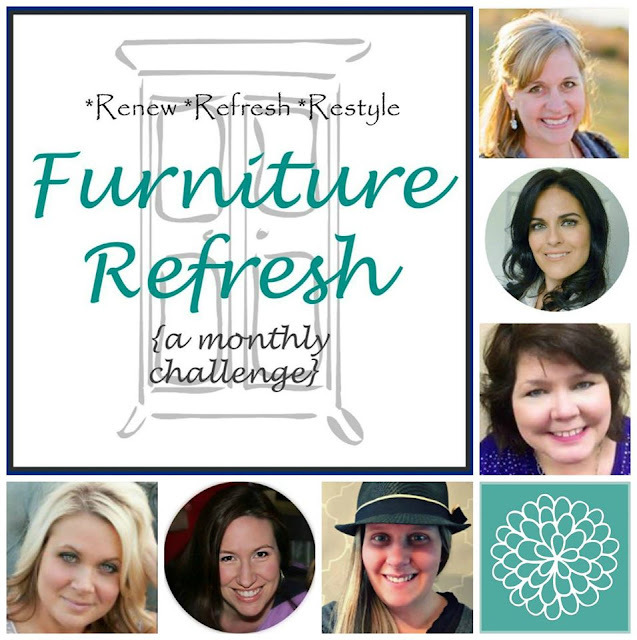 Click on the links below and see what amazing life they've given their furniture pieces. 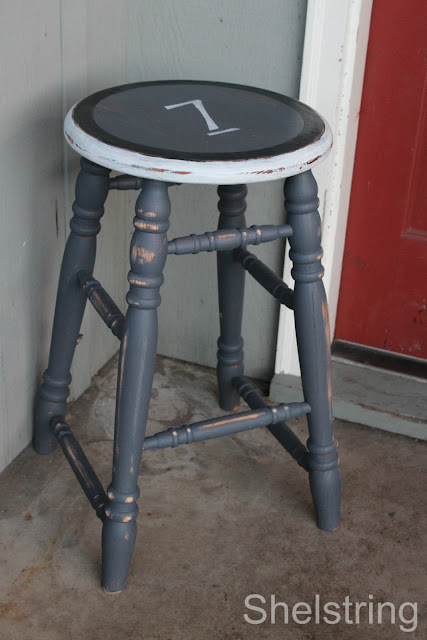 I love a good re-finish, don't you?! 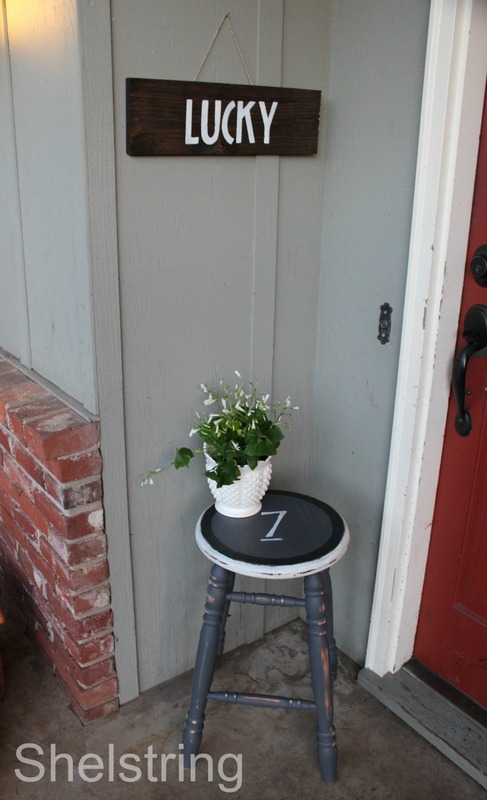 Your Lucky 7 Stool is awesome Michele!!!! 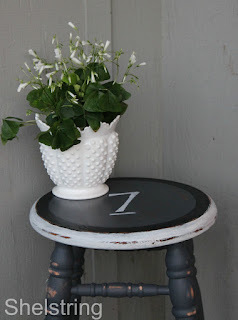 I love it, and how it's done in that classic farmhouse style. Beautiful :) Sharing. Nice job! I can picture the oak colour of the stool before you finished it with this fab colour. Looks fantastic! 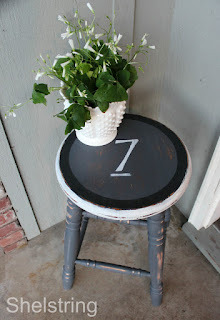 Love the stool makeover & the addition of lucky number 7 is perfect! Can't wait for next month! I love using numbers in decorating and adding it to this piece gave it such a cool industrial look. Beautiful job! I adore your makeover and more so as an entrance piece! What a great welcome! Who doesn't like a lucky number? You're so clever.